Christian entrepreneurial leaders have the potential to positively impact the marketplace, churches and communities on a global basis. Innovation is at the heart of entrepreneurship: doing something new, different and creative. An entrepreneur can innovate and turn an idea into action. Entrepreneurs are leaders—they are people of influence. They can influence all they touch, in all dimensions of life. A Christian value system provides a foundation and focus for entrepreneurial initiative. You either are an entrepreneurial leader or can become one—you can be creative, action-oriented and expand your sphere of influence. How do you do so? That’s what the Entrepreneurial Leader Conference is about. This conference is a catalyst to equip, connect and inspire entrepreneurial leaders: Equip – by providing substantive and meaningful content; Connect – unite all who are interested in a Christian-based approach to entrepreneurship; and Inspire - the first-hand stories of entrepreneurs motivate others to action. 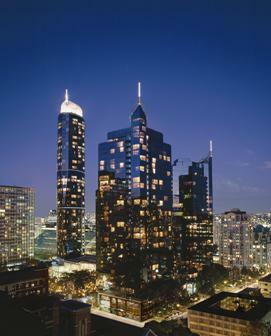 All conference activities take place at the downtown Sheraton Vancouver Wall Centre Hotel, which is also one of the sponsors of this event. For further information contact: Dr. Richard J. Goossen, Chairman, Advisory Board, Entrepreneurial Leaders Organization,E: rick@eleaders.org . See also www.entrepreneurialleaders.com.